If you've been around here long enough, you will probably notice I didn't really document much of my first two trimesters with Patrick and there is a very good reason for it all, besides the usual pregnancy exhaustion, I was uncontrollably sick. Flashing back, it's only around this time last year that I could go a day without having a second screening on what I'd eaten that day, the first twenty weeks were nothing short of horrific for me. It was a huge shock, with Noah I'd had your most textbook pregnancy with no real out of the ordinary sickness, so suffering with hyperemesis gravidarium hit me like a tornado. I shake my head now at a six week pregnant me willing on any symptom, even sickness so that I could actually feel pregnant, little did I know the tidal wave I'd face over the next 14 weeks. Morning sickness is the biggest understatement of the century and had Kate Middleton not suffered with HG just a year prior, I don't think any of my friends or family would have known what on earth I was talking about. Around week ten of pregnancy, I started to think something was a little different about my bout of 'morning sickness', obviously it wasn't just contained within a morning - I'd say evenings where my worst hours if anything, between 5-8. I'm not sure how John coped with me for those few months as at times I would refuse to even enter the kitchen, the fear of smelling something that I didn't like - which could vary from pasta to tomato ketchup, never mind actually having to eat the things, was enough to tip me over the edge and into the toilet bowl. IF I made it. Once over, around 15 weeks pregnant we'd made a lovely trip to IKEA, I was in good spirits and felt relatively 'ok' that day. We headed off, me on an empty stomach so as is pretty standard by most Ikea visits, I sampled a hot dog on our departure. As we reached 20 minutes into our journey home I quickly realised the hot dog was not such a great idea and I would be seeing it again pretty soon, thankfully I had my head around how to prepare for such a thing by this point and the car had a fresh bowl for me to deposit in, however this was not enough. I could see the mixing bowl filling to it's entirety and as I continued on like something from a Little Britain sketch, I had no choice but to tip the bowl out of the window, freshly dowsing the white Audi Q7 driving up our arse - sorry about that! But that's how violent and sudden it would happen, I could be perfectly fine or think I was, before being hit by that 10ft wall of nausea. At my lowest points, nothing would stay down. I sobbed repeatedly to John, he'd sit with me whilst I sipped water, he rushed out to the stores in winter to grab ice poles for me to just get a little bit of sugar, but nothing worked. I did visit the doctor, twice, who warned me that if I didn't take some time off work I was going to make myself and an unborn Patrick very poorly, I was both dehydrated and incredibly sick. Tablets helped for a while, some days they seemed to mask HG more than others but it was always there, looming in the background and ruining a lot of those first months. I feared it so much, because although it was just a physical illness, it felt mental too. I could even write the word cheese without throwing up, even being asked to prepare a tea at work sent me rushing to the toilet bowl, the thought of being around someone who would be eating could make me wretch. It was overwhelming and something I definitely will never forget. A lot of pregnancy you do look back with rose tinted glasses, but there is nothing that could tint HG enough to make me think of it so lightheartedly. From around 30 weeks onwards I would say was my 'safest' point in terms of it, though I don't know if I ever made it through a week of pregnancy without throwing up. HG actually contributed to why we decided to have a gender scan, in my first trimester I felt so low, Christmas wasn't the same and I needed something to get me through. We had intended not to find out, though I'm now glad we did, having such horrific sickness definitely pushed me into that mindset that I needed to know. I'd tell John I just had to know who was causing this trouble, who I was going through all this for and I needed a focus, a date, an end point. 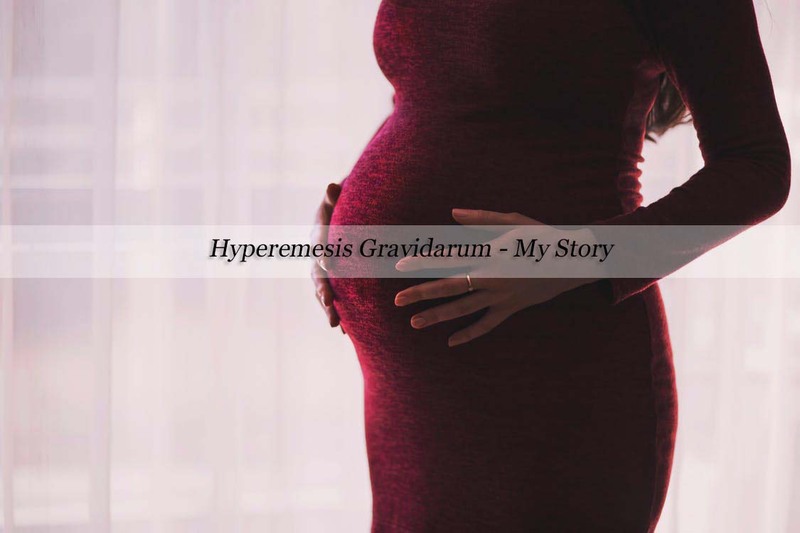 Hyperemesis gravidarum definitely needs more awareness, there isn't enough information out there and far too many ladies are suffering in silence. It took me over a month to pluck up the courage and visit a doctor, thankfully she understood immediately. But a lot of women are made to feel as though it's just 'one of those things', it truly is not! It's so serious, I ended up losing a stone and a half during my first half of pregnancy, which although was nice, isn't exactly what you need when you're trying to grow a baby. HG does haunt me a lot when considering for another child, it's unyielding and I'm not completely confident I could cope with it again. It just sounds so horrendous, and like you said before Kate Middleton had it I had never heard of it before. It's great that is beginning to get some more awareness but I agree it still needs loads more! I hadn't realised you'd had it so rough with P Em, that sounds awful. I can't imagine being so poorly throughout the majority of your pregnancy, being sick is rubbish anyway but especially at that time and when you've got N to think about as well. Eeek, that sounds horrible. I couldn't imagine going through that, must make it so difficult to enjoy your pregnancy! The things we go through during pregnancy - this is a good post for the boys to read back on when they are older! Mine was all good until right at the end where my placenta got stuck and I had to be operated on immediately - terrifying!